With Gamescom starting today Sledgehammer and Activision have wasted no time in kicking off the hype machine with Call of Duty, but showing off the multiplayer side of the game. Below is the Multiplayer Reveal trailer. Now, when I first saw this, I was immediately thinking “This looks like Titanfall.” They have given the players a boost pack that allows for a lot more virticality on maps, and allows more movement with dashing from side to side. It kind of looks like they have taken the movement of pilots and titans from Titanfall and put them together. Then there is the levolution style events, one being a tidalwave sweeping in and covering certain areas of the map with water. I’m sat thinking “I’ve seen all this before.” It wasn’t really anything I hadn’t already seen. But then I started watching the IGN videos of some multiplayer matches, and I started to get a little more interested. It started to stir memories of old where I used to sink hundreds of hours in the multiplayer side of the game. I…. I kind of started to want it… I know, I know, its an odd feeling, and one that I wasn’t expecting. I was completely un-interested in Ghosts, and didn’t even consider buying it. But maybe that was a good thing? I got tired of the COD franchise, it felt like the games were just a rehash of last years, with a few slight changes. This isn’t seen as a bad thing for some people and that’s fine, loads of games do a similar thing. But for me it just got boring. Now though, it’s been almost two years since I’ve played a COD game properly, and I think I might be ready to go back to it. 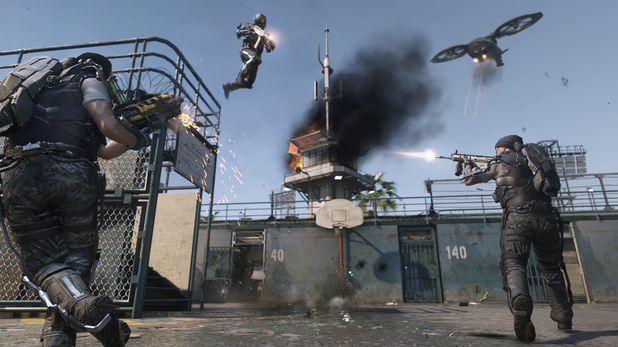 I think that Advanced Warfare might be the game in the series to rekindle my interest in it. I won’t hold my breath just yet though, and will reserve my judgement until I see a little more of it. But for now, it looks promising!